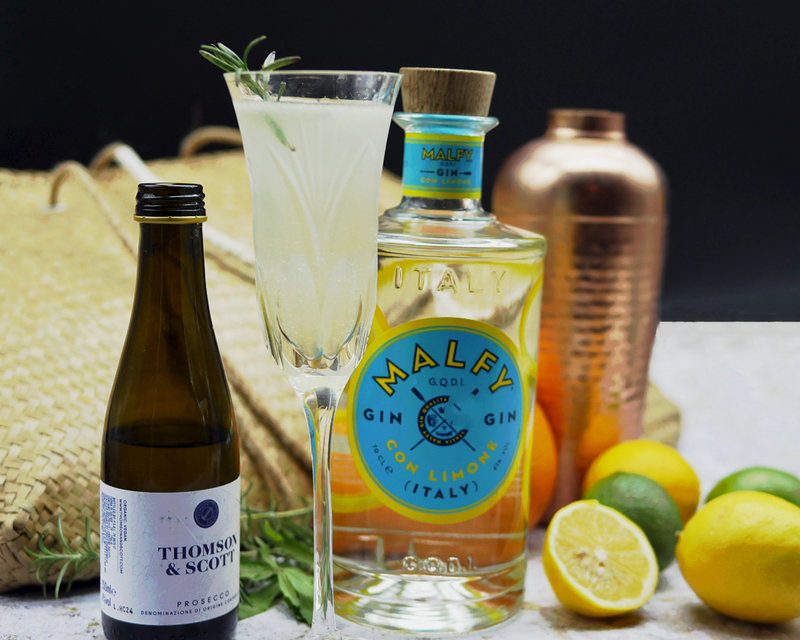 It took me opening my bottle of Malfy Limone Gin to realise the significance of the Malfy brand name. Made on the outskirts of Turin in an area best known for vermouth and liqueurs, originally it was a small batch product made by the Vergano family, who still manage the business today. Although it’s now part of the US-based company Biggar & Leith it still has all the feel of an Artisan gin. 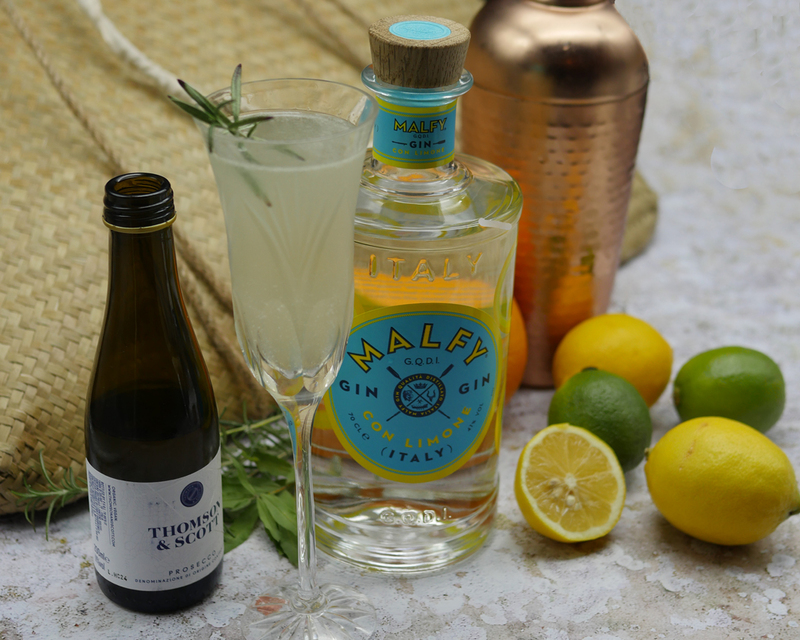 What I discovered when I opened my bottle of Malfy Limone gin was a delicate lemon sherbet drink quite unlike any gin I’ve tried before. 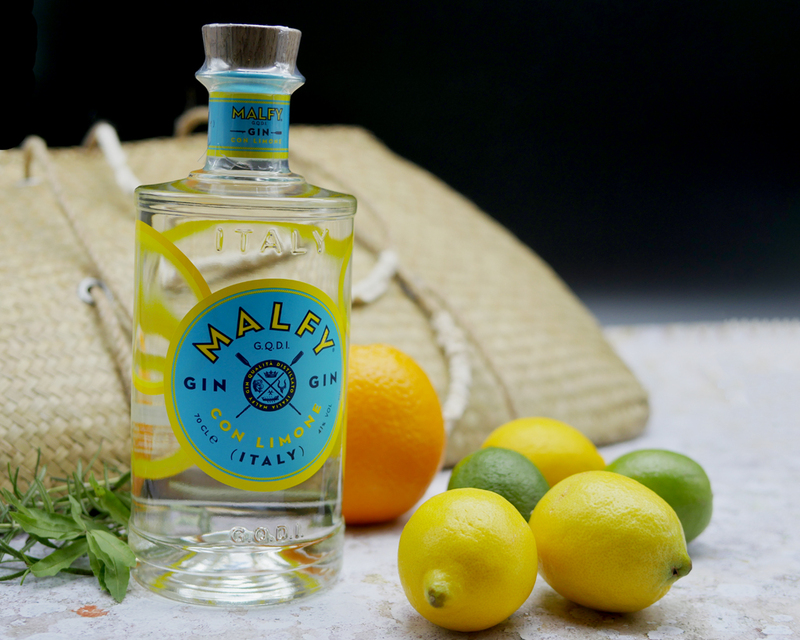 Malfy limone is made with a mix of lemon peel from Amalfi coast and Sicilian lemons. The other botanicals, Juniper, coriander, cassia, liquorice, grapefruit peel and orange peel take a back seat. Distillation in stainless steel still under vacuum at 60 degrees ensures that the zesty flavours of the citrus elements are not lost. This is another gin I’m quite happy to sip neat. But, I’ve been playing around with my bottle and created my own/Italian version of a French 75. The famous French 75 cocktail dates to World War I. Most people attribute the creation to Harry MacElhone, who made the original version in 1915 at the New York Bar in Paris. As Wikipedia points out, the original version is close to a Tom Collins, though replacing the carbonated water with champagne makes a cocktail with a real kick. Obviously, the classic gin, lemon and champagne cocktail would be made with Prosecco in Italy. And although the version on the Malfy website suggests using limoncello, I’ve actually made my version with rosemary infused simple syrup and a rosemary garnish. If anything takes me back to Italy it’s the smell of rosemary growing wild on the hills of the Chianti part of Tuscany. 7.5 ml Rosemary infused simple syrup made by mixing equal quantities of water and sugar, heating to boiling point and then adding a couple of sprigs of rosemary. Now, I’ve got a bottle of this to give away to one lucky London-Unattached reader. What I’d like to know from you is how you’d adopt a classic French 75 to make it work with an Italian Gin. You could choose to use prosecco like me, you might add limoncello, you might add rosemary or basil. Or even the odd sneaky olive. 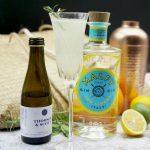 I’m sharing my own recipe for what is actually a prosecco and gin cocktail with lemon. Would you do anything different? If so what…? Let me know in the comments and then follow the rafflecopter through for extra entries. or check out the information page where all the retail outlets are listed. I think it sounds wonderful how you have done it. I love anything ‘lemony’, so refreshing. I love this recipe! 5 stars! To me lemon flavours are so italian, like limoncello , just ideal and fresh! I think that the Rosemary is teh added touch that makes it the perfect Italian cocktail just as it is. I have tried it at a friends house and its great, they also have some other flavours I am interested in trying. To enhance the already Italian flavour of the cocktail, I’d add a touch of limoncello.